Chip Somodevilla/Getty ImagesWhat happens to the people who leave? Trump’sWhite House has seen a number of high-profile departures since the earliest days of the administration. President Donald Trump’s White House has a doozy of a turnover rate. The Brookings Institution reports that 62% of top-level White House positions – excluding the cabinet – have seen turnover under Trump as of December 2018. Nine cabinet members have also left the administration in Trump’s first two years of office, the same number of secretaries who left Obama’s cabinet throughout his eight year term. Either way, many commentators have pointed out that sieve-like nature of the White House seems to speak to a turbulent environment. That’s a characterization which Trump himself has disputed. “There is no Chaos, only great Energy!” he tweeted. It’s too early to tell for most recent departures, like Kelly and Jeff Sessions. Former officials like Reince Priebus and Dina Powell have returned to their private sector roots. And still others are embarking on totally new ventures. Attorney General Jeff Sessions submitted his resignation on November 7 after nearly two years in the position, with Trump announcing that Matthew Whitaker, Sessions’ Chief of Staff,would serve as acting attorney general. Trump had frequently lambasted Sessions for recusing himself from overseeing special counsel Robert Mueller’s probe into Russian interference in the 2016 election. While Sessions has not announced his future plans, both Politico and Fox News reported he’s eyeing a 2020 run for his old US Senate seat in Alabama, currently held by Democrat Doug Jones, who was elected in a December 2017 special election. Drew Angerer/Getty ImagesDon McGahn, general counsel for the Trump transition team, gets into an elevator in the lobby at Trump Tower, November 15, 2016 in New York City. President-elect Donald Trump is in the process of choosing his presidential cabinet as he transitions from a candidate to the president-elect. 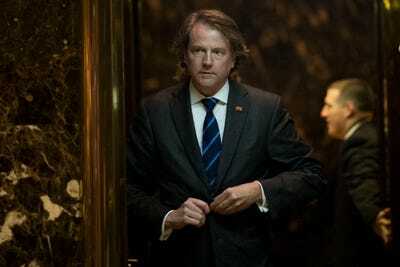 The New York Times reported in August that McGahn voluntarily gave 30 hours of testimony to special counsel Robert Mueller’s team investigating Russian interference in the 2016 election and whether Trump obstructed justice as President. It’s not clear what McGahn, a former partner at Washington DC corporate law firm Jones Day and Federal Election Commission commissioner, will do next. While all Trump administration officials are bound to ethics pledges to not lobby for special interests within five years of leaving their government job, Pruitt’s proposed consulting firm would reportedly not involve improper lobbying. Bossert, Trump’s former Homeland Security adviser, was fired by national security adviser John Bolton almost immediately after Bolton joined the administration. Shulkin, the former Secretary of Veterans affairs, resigned after a inspector general investigation in February alleged that he used $US122,000 of taxpayer money on a trip to Europe with his wife and that he improperly accepted tickets to the Wimbledon tennis tournament. 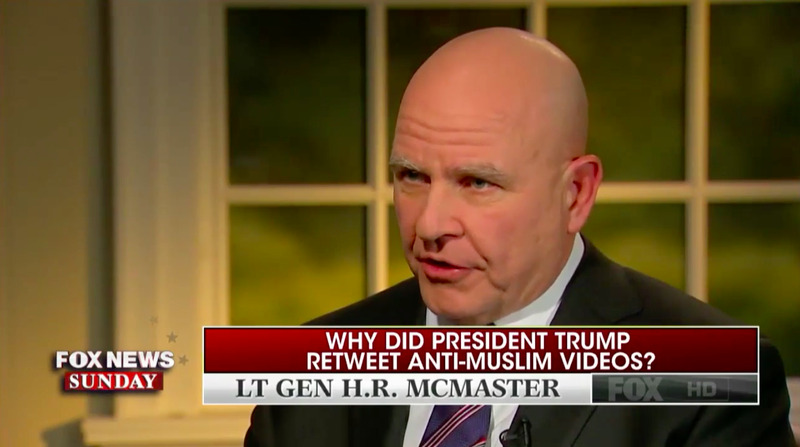 Gen. McMaster, Trump’s former national security adviser, was replaced by John Bolton in April. 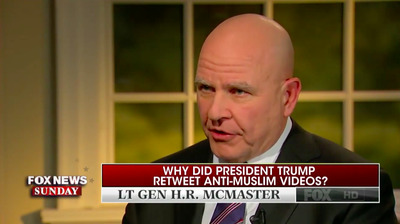 McMaster’s time in the White House was tumultuous and marked by disputes with Trump, as well as other senior administration officials. He’s now a visiting fellow at Stanford University’s Hoover Institute and a lecturer at Stanford University’s Graduate School of Business. After a rocky tenure, Secretary of State Rex Tillerson was booted from Trump’s Cabinet in March. Observers have pointed out that the ouster occurred one day after Tillerson pointed the finger at Russia for the chemical attack against a Russian double agent in Britain. Trump hasn’t released a statement on the attack, and the White House has refused to explicitly blame Russia. 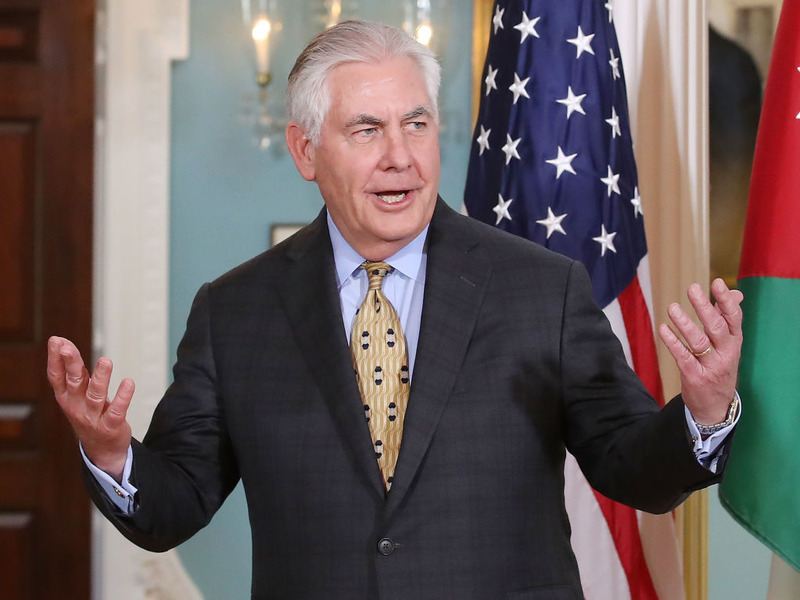 While Tillerson has largely stayed out of the spotlight, he recently let loose with his thoughts on Trump while speaking at a fundraiser in Houston, calling Trump “undisciplined” – and saying the president frequently asked him to break the law. “Mike Pompeo is doing a great job, I am very proud of him. His predecessor, Rex Tillerson, didn’t have the mental capacity needed,” Trump hit back on Twitter. 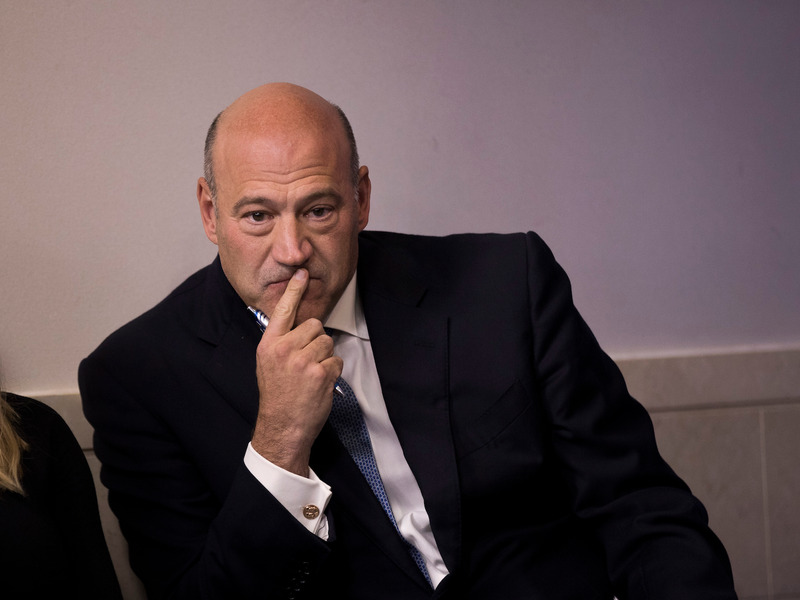 Gary Cohn’s resignation from his post as director of the National Economic Council came after he failed to convince the president to nix his plans for implementing steel and aluminium tariffs. In September, the New York Post reported that some Wells Fargo board members approached Cohn about becoming the scandal-plagued bank’s next CEO, but Cohn declined the offer. “I have been very interested in blockchain technology for a number of years, and Spring Labs is developing a network that could have profound implications for the financial services sector, among others,” Cohn said. Reports of White House communications director Hope Hicks’imminent departure broke at the end of February 2018. Hicks, a former model who came into the Trump orbit by doing public relations for Ivanka Trump’s fashion line and the Trump Organisation, was long been considered one of Trump’s closest confidants. In October, Hicks was namedexecutive vice president and chief communications officer of “New Fox” following Disney acquiring most of 21st Century Fox over the summer. Hicks now oversees communications and PR for Fox News, Fox Sports, and Fox Business – the components of the Fox franchise not sold to Disney. Rob Porter — who was accused of physical abuse by his two ex-wives — hasn’t updated his LinkedIn since leaving the White House. Former White House staff secretary Rob Porter’s February 2018 resignation came in the wake of a firestorm sparked by allegations of physical abuse. It’s not clear what Porter is doing now. His LinkedIn profile has been taken down since his resignation from his White House role. She was subsequently invited to become a senior fellow at Harvard’s John F. Kennedy School of Government. Powell returned to Goldman Sachs as part of the company’s influential management committee. Before she joined the White House team, she was a managing director and partner at the financial institution. Andrew McCabe, the FBI’s deputy director, was fired by Attorney General Jeff Sessions in March – just a day before he would have reached pension eligibility. McCabe had stepped down from his role as deputy direction in January and gone on paid leave. McCabe, a 21-year veteran of the bureau was forced out of the FBI amid an internal investigation by the Office of the Inspector General (OIG) into his approval of unauthorised disclosures to the media in October 2016 related to the bureau’s Hillary Clinton email probe. It’s not clear what McCabe has been up to since leaving his government role. Aside from releasing a tape she recorded of Chief of Staff John Kelly firing her in Trump’s situation room, Maginault Newman made a number of claims against members of the administration. 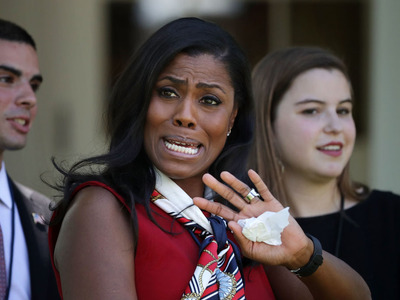 She said tapes of Trump using the n-word on the set of “The Apprentice” do indeed exist, that Trump had advance knowledge of WikiLeaks releasing hacked emails from the Hillary Clinton campaign in 2016, and that she walked in on him eating paper in the Oval Office. Trump and press secretary Sarah Huckabee Sanders vehemently denied Maginault Newman’s claims, with Trump calling her a “dog” who “cried and begged” for a job. Former Health and Human Services secretary Tom Price has returned to the medical world, joining the advisory board of Georgia-based Jackson Healthcare in the wake of his September 2017 dismissal from the Trump administration. Price was an orthopaedic surgeon for years before he entered the world of politics. A New Yorker story reported that many of Price’s former constituents in Georgia still favoured the politician, despite revelations that his flights on private and military planes racked up costs of over $US1 million. Controversial Trump adviser Sebastian Gorka departed the White House in August 2017, in the wake of his ally Steve Bannon’s ouster. Gorka’s expertise in the field of national security was widely called into question by academics, Business Insider’s Pamela Engel reported. He’s now a consultant and lecturer at the Heritage Foundation, a national security analyst at Fox News, and a non-resident scholar at the Institute of World Politics. 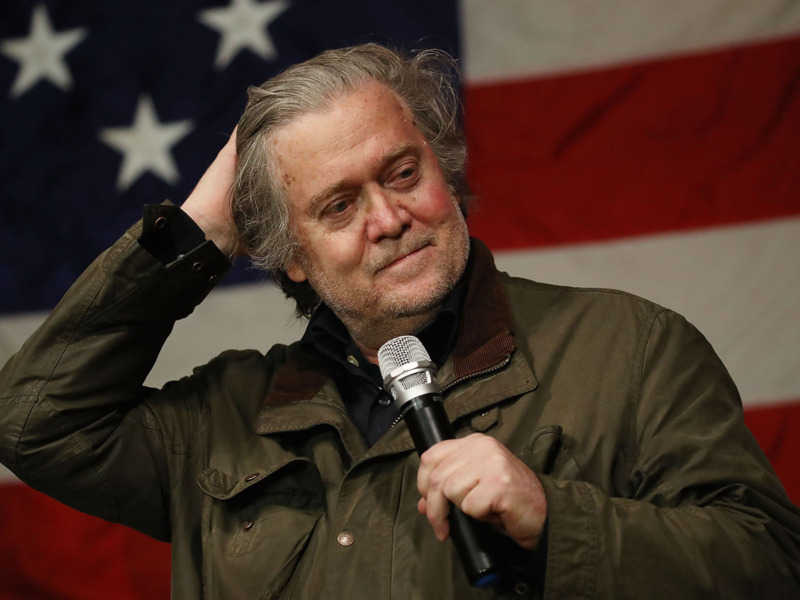 However, when it was revealed that Bannon had made disparaging remarks about Trump in the book “Fire and Fury,” he was ousted from Breitbart in January 2018. Reports indicated that Rebekah Mercer, a right-wing donor and longtime Breitbart supporter, had forced him out. He was set to be interviewed at the annual New Yorker festival in summer of 2018, until an onslaught of online backlash prompted the organisers to cancel his appearance. He also campaigned for Republican candidates running in the 2018 midterms. Anthony Scaramucci’s brief stint at White House Communications director ended July 31, 2017. He’s gone on to launch a digital venture called the Scaramucci Post, and is the managing director of his own investment firm, Skybridge Capital. The Scaramucci Post’s Twitter feed has since focused on the topic of the American opioid epidemic, posting articles on the crisis and interacting with those affected by the issue. Scaramucci also wrote a book about Trump, “The Blue Collar President.” He recently stopped by Business Insider to discuss the book, his thoughts on the Trump administration, and the stock market with Insider Inc. CEO Henry Blodget. Sean Spicer’s most notable post-White House moment came about when he made a surprise appearance at the Emmy Awards. He also wrote a book about the White House, titled “The Briefing: Politics, the Press, and the President,” and went on media and book tours to promote it. The book, which described Trump as a “unicorn riding a unicorn across a rainbow,” was not especially well-received by critics. ABC News White House correspondent Jonathan Karl wrote a scathing review of the memoir. “Mr. Spicer’s book is much like his tenure as press secretary: short, littered with inaccuracies and offering up one consistent theme: Mr. Trump can do no wrong,”Karl wrote in the Wall Street Journal. Michael Dubke now sits on the board of two conservative organisations. His LinkedIn profile doesn’t mention his White House tenure. His biography on the website of the Black Rock Group, a PR firm which he cofounded, does. Dubke is still a partner at the Black Rock Group. 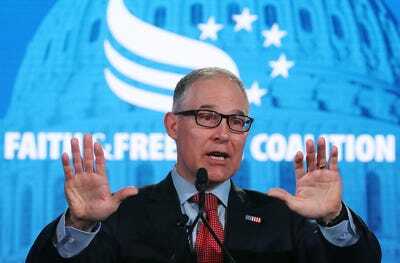 His biography states that Dubke sits on the board of the Franklin Center for Public Policy Exchange, a news organisation with a free market bent. He also sits on the board of the Ripon Society, a conservative public policy organisation. Former Office of Government Ethics director Walter Shaub resigned in July 2017, saying that the Trump administration was “close to a laughingstock” and calling for tighter ethics regulations. 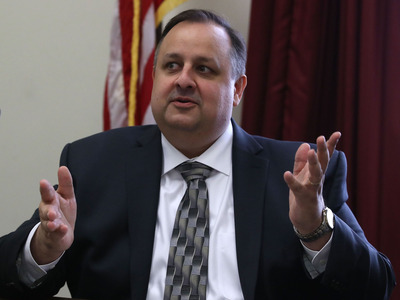 Shaub has continued to blast the White House, telling the Guardian that Trump’s administration runs the risk of being seen as a “kleptocracy” over perceived conflicts of interest. Trump’s decision to fire FBI Director James Comey in May 2017shook the political world. 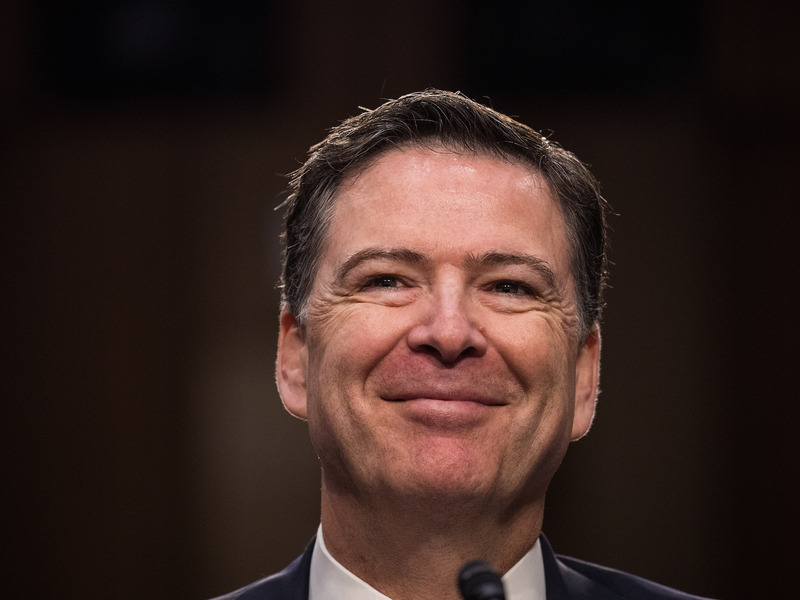 Since then, Comey has given a series of lectures at Howard University, a historically black university. He’s now slated to teach a course on ethical leadership at the College of William and Mary, his alma mater. He’s also become more politically active, donating to Democratic congressional candidates and expressing his hopes that Trump’s 2020 opponent will achieve a “landslide” win. “All of us should use every breath we have to make sure the lies stop on January 20, 2021,” Comey recently told an audience in New York City. Michael Flynn’s post-White House career has been a troubled one. The former national security adviser has been at the center of special counsel Robert Mueller’s investigation into the Trump campaign, ever since he submitted his resignation in February 2017. On December 1, 2017, he plead guilty to lying to the FBI about his contacts with Russian ambassador Sergei Kislyak as part of a plea bargain. He’s since been forced to sell his house to pay for legal bills, the New York Post reported. Acting attorney general Sally Yates was dismissed in January 2017, after refusing to enact Trump’s controversial temporary executive order on refugees and immigration. USA Today reported that Yates has become a distinguished lecturer at Georgetown Law School. She’s also a partner at law firm King & Spalding’s special matters & government investigations practice. 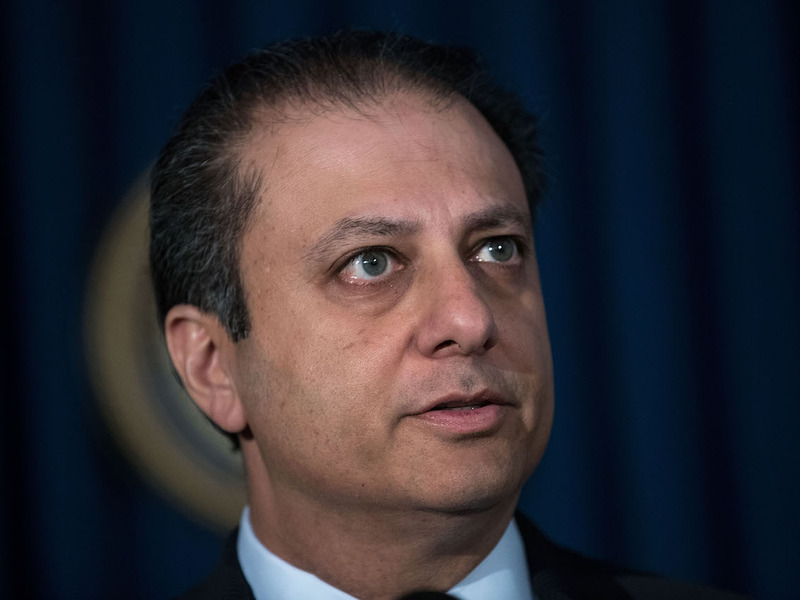 After his termination, Bharara became a distinguished scholar in residence at NYU Law. He’s also launched a highly successful weekly podcast “Stayed Tuned with Preet.” Some of Bharara’s high-profile interviews include talks with Rep. Adam Schiff, Judd Apatow, and Sen. Jeff Flake.